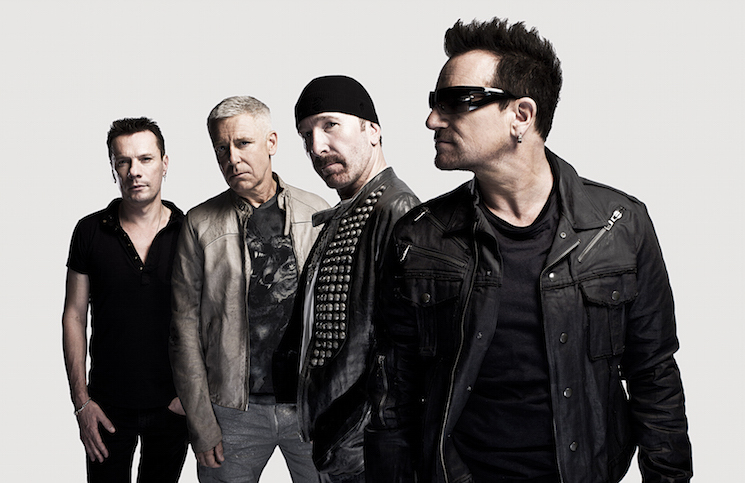 Earlier this month, U2 were revealed to be performers at the 60th annual Grammy Awards, set to take place this weekend. As it turns out, it doesn't seem the Irish rockers will actually be performing live at "music's biggest night," despite how TV magic may make it appear. TMZ reports that Bono and company will be recording their Grammys performance tonight (January 26) out on a barge on the Hudson River. When the ceremony air this Sunday evening, cameras will cut away from Madison Square Garden to screen U2's pre-taped performance. It's not quite as egregious as lip syncing, but learning the performance will apparently be made up of canned footage is definitely a bit of a bummer. Artists actually set to perform live at the Grammys include Kendrick Lamar, Sam Smith, U2, Elton John, Miley Cyrus, Lady Gaga, Childish Gambino, P!nk, Little Big Town, Kesha, SZA, Bruno Mars, Cardi B, Logic, Alessia Cara, Khalid, Luis Fonsi and Daddy Yankee. The Grammys ceremony will be hosted by late-night TV personality James Corden and will be broadcast live on Sunday (January 28).